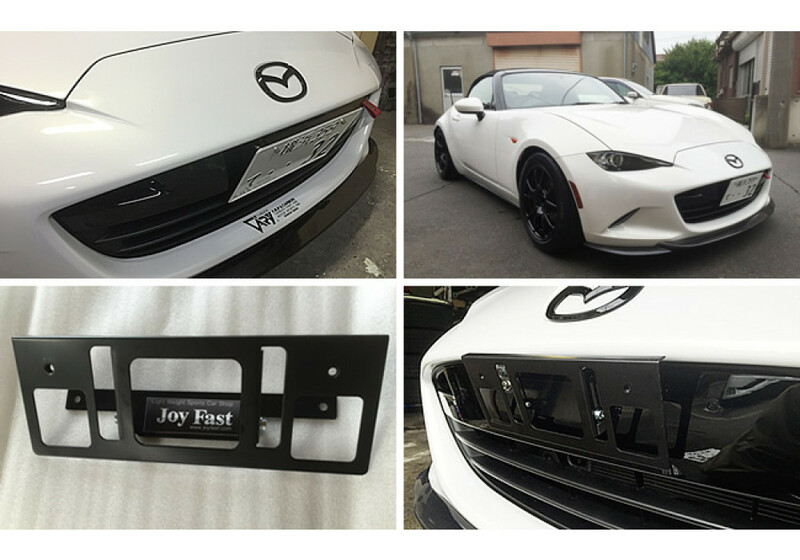 License Plate Holder made by JoyFast for the 2016+ ND MX-5 Miata. It installs by drilling onto the front grille and allows adjustment of angle so it can help with radiator flow and make it less visible. 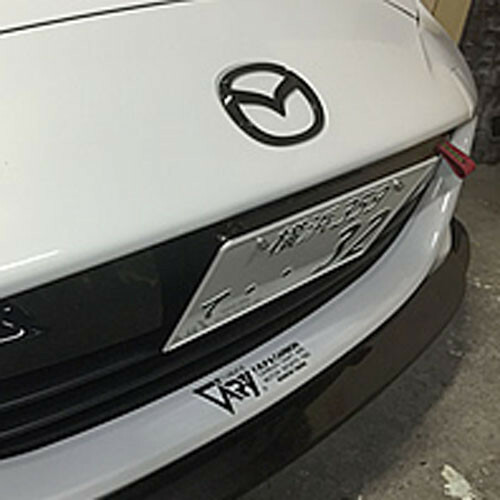 JoyFast License Plate Relocation Kit should be ordered at REV9 Autosport https://rev9autosport.com/joyfast-license-plate-relocation-kit.html as they provide the best service and speed we've seen so far!